IN THE UNITED STATES, BY LEGAL DEFINITION vodka is “without distinctive character, aroma, taste or color,” and domestic distillations of vodka are required to reach a minimum of 190 proof (95 percent alcohol). On the surface, at least, this would seem to contradict people who are committed to one brand of vodka because they prefer its “taste”—indeed, anyone who has sampled more than one vodka can attest to the fact that not all vodkas are created equal. And why, then, are so many different base ingredients used—grain, potatoes, sugar beets or even honey and apples—and why do distillers tout the number of distillations or the source of the water? Vodka, in fact, can be made using almost any main ingredient—if it can be fermented, it can be used to make vodka. The central issue is accessing the sugars in starch-based ingredients. The process requires multiple steps, but the basic procedure includes blending the base ingredient (typically cracked or ground grain) with enzymes (usually in the form of a malted grain), then heating the combination in water. Pausing or holding the process at certain points allows the enzymes to break down starches into sugars. When complete, the resulting solution is known as the mash. The sugars in the mash are converted to alcohol through fermentation—the same process used by brewers or vintners. Once fermentation is completed, the fermented mash is distilled, typically multiple times. The first distillation frequently is referred to as a stripping distillation—much of the solids and volatile components are removed (stripped), which saves time and (some claim) creates a cleaner final spirit. The spirit is further distilled for purification. Once the distiller determines the process is completed to his or her satisfaction, the final distillate is diluted with water and filtered to create a clean, drink-worthy product. The filtration method varies by distillery, as well. Harvest Spirits employs a half-micron filtration system for its apple vodka, in contrast to the carbon filter system (much like some commercial water filters) used by many other distilleries. Perhaps the most important difference among various vodkas comes from differences in the raw materials used. Denning’s Point Distillery, founded in 2014 just steps off Beacon’s metro-hip Main Street, for instance, uses red winter wheat sourced from a farm in the Finger Lakes to create its Viskill Vodka. Head Distiller Kyran Tompkins utilizes carbon filtration. “Carbon filtration is where we feel we distinguish ourselves,” Tompkins notes. “We believe wheat makes a softer, more traditional vodka.” He adds that some people perceive a slight sweetness in the finished spirit. 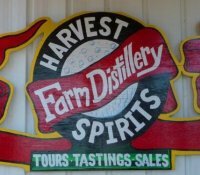 At Harvest Spirits, in the serene, apple-growing town of Valatie, Derek Grout is convinced that the aromatics of a vodka are greatly affected by the base ingredient. He is seeking to make a distinctive vodka using apples grown on the Grout family orchards in Columbia County. “I want to be able to distinguish my vodka from another apple-based vodka [in a blind tasting],” he says. “Otherwise, I’m just selling a commodity. How fresh the apples were, how happy the yeast was—all this affects the finished product.” To this end, Grout devotes significant attention to his “head” and “tail” cuts. Each distillation is broken into three parts: the head, the heart and the tail cuts. The first and the last cuts contain elements that are unpleasant and harmful—these portions are usually collected and redistilled in future batches so nothing is wasted. Grout is especially careful making the head cut. Like most distillers, Grout makes all his cuts based on sensory evaluation: First, he mixes some distillate with water and smells the solution; if he perceives hints of vinyl, nail polish remover or model glue, he allows the fermentation to continue. If he does not detect these odors, he’ll taste it; if it passes, he’ll swallow a small amount, testing for any volatility on the finish. “The taste is what’s important—that’s what people are looking for,” he says. “It has to be flawless.” When distilling, Grout always keeps a sample of a previous batch on hand for comparison so he creates a consistent product. 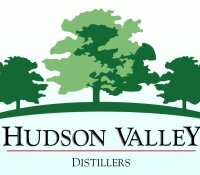 Of course, with the deep culture and history of farming in the Hudson Valley region, it’s not surprising that some local distillers are using local potatoes for their vodka. In Middleburgh (Schoharie County), Barber’s Farm Distillery uses homegrown potatoes to give a distinctive spin on potato vodka. Founded in 2015, the first vodka came off the still last fall. Head Distiller Elias Barber confirms what Eastern European distillers of the 1800s quickly learned: Working with potatoes is labor intensive. “Week-to-week, preparing the potatoes is the biggest job,” he says. “This is why not many people [distill with potatoes].” Barber estimates that he and Assistant Distiller Emily Driscoll spend about half their efforts on preparing the potatoes—after grinding the potatoes into a mashed pulp, they load it into a kettle and cook it to convert the starch. When he begins fermentation, Barber is careful to preserve the “nature” of the potatoes. His approach to the stripping run is more about reducing volume rather than eliminating or excluding potential flavor components. Using a column still, Barber, much like Tompkins and Grout, is extremely selective in making his head and tail cuts. 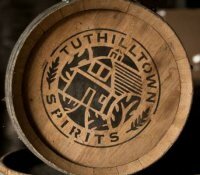 “The smaller craft distillers have the ability to make perfect cuts—that’s what separates them from the large distilleries,” he opines. Unlike most distilleries—including Denning’s Point and Harvest Spirits— that use water purified through a reverse osmosis treatment, Barber uses water sourced from a fresh spring just behind the distillery. The water, of course, is filtered (Barber uses a carbon system), but he says he employs a light touch. “Our water has flavor,” he asserts, and he doesn’t want to lose its character in the vodka. All these subtle variations in distilling technique and ingredients undoubtedly affect the aromas and flavors in the finished vodkas. 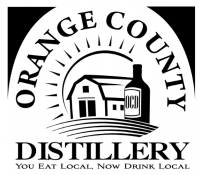 Though vodka seems to a rather basic spirit, local distillers are working with a variety of mainly locally grown ingredients—including wheat, apples, potatoes, corn and even beets—and their skill and artistry in determining the cuts, the choice of water, dilution percentage and filtration methods all influence the character and quality of the final product.